Rich in both colour and taste, this Rum is sure to please. A nice balance of Queensland sugar cane and caramel notes put this on the “must have list” for any bar. 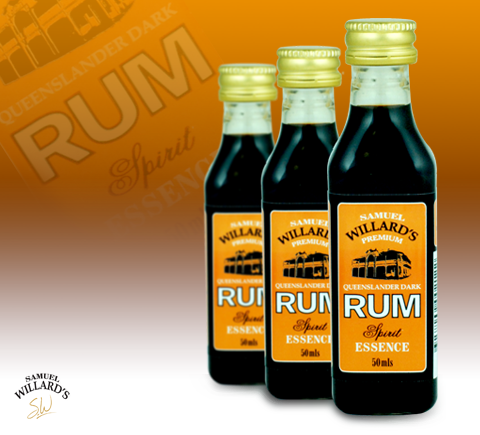 Samuel Willard’s Premium Queensland Rum produces 2250mL from each 50mL bottle of essence.